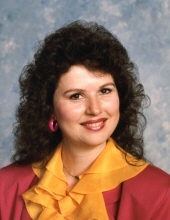 Kathryn Sue Crawford of Harrisonville, Missouri was born June 29, 1951 in Clinton, Missouri the daughter of George Jewell and Betty Jo (Skaggs) Wehmeyer. She departed this life on Tuesday, March 26, 2019 at St. Luke's East, Lee's Summit, Missouri surrounded by love and family at the age of 67 years, 8 months and 26 days. On December 2, 1971, Kathryn was united in marriage to Alexander John Crawford in Creighton, Missouri. Kathryn was a homemaker and also employed as a pre-school teacher for the Harrisonville Christian School. Later, she was employed as a dietician for Foxwood Springs, Raymore, Missouri. She was a member of Harrisonville Community Church and was involved in the children's ministry. Kathryn had been attending the International House of Prayer with her son, Alex. She enjoyed the outdoors, gardening, sewing and crocheting. Kathryn grew in the Creighton and Urich, Missouri communities. She was a 1969 graduate of Sherwood High School and was the 1968 Homecoming Queen. Kathryn is survived by her husband, Alex J. Crawford of the home; her son, Alex G. Crawford, Harrisonville, Missouri; 5 grandchildren, Finnegan, Sydnea, Myles, Evelyn and Jayne; other relatives and a host of friends. Cremation. A Celebration of Life Service was held Friday, March 29, 2019 at the Dickey Funeral Home, Harrisonville, Missouri. The family received friends Friday, March 29, 2019 at the funeral home. Family suggests memorial contributions may be made to the Harrisonville Christian School. To plant a tree in memory of Kathryn Sue Crawford, please visit our Tribute Store. "Email Address" would like to share the life celebration of Kathryn Sue Crawford. Click on the "link" to go to share a favorite memory or leave a condolence message for the family.